Fun design for water lovers! Fun for all the water-babies out there! 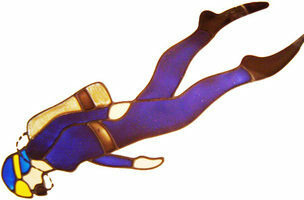 Scuba Diver in dark blue wetsuit.